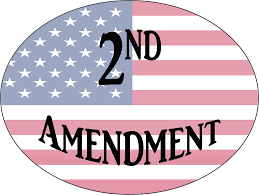 Michael Bielawski of True North Reports reported last week on a study by Johns Hopkins University and the University of California at Davis, that determined that California’s strict gun control laws had no measurable impact on gun violence or deaths in the state. The study examined the decade after the state’s 1991 implementation of comprehensive background checks. The act required that all gun sales including those between private individuals must go through a licensed dealer. Another provision was that shotgun and rifle purchasers must wait for 15 days while the background check is processed. Alas, no amount of evidence seeps through to Vermont’s mindless gun control activists. Next post: April Survey: Double the Heating Fuel Tax? Yes or No?